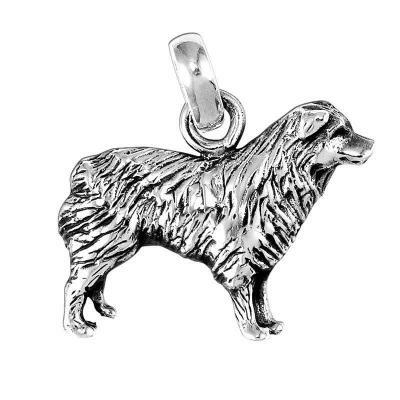 Large Australian Shepherd Sterling Silver Dog Charm. The Large Australian Shepherd sterling charm is the perfect size - can be used on a necklace or on a bracelet for everyday wear! The charm measures approximately 5/8" and is 0.925% Pure Silver. The Large Size Australian Shepherd Sterling Charm is perfect for the Australian Shepherd Dog Lover!